For a lot of us, having lymphedema feels like a crutch. It’s a burden on so many aspects of our lives that it’s all too easy to get bogged down and feel like we’re limited by this condition. However, one of the readers at The Lymphie Life is proving otherwise. Jim Miller has had primary lymphedema in his left leg for about forty-five years, and in his right leg for the past two. Despite these physical limitations, Jim has kept incredibly active by hiking and biking in his home state of Colorado, as well as traveling around the world. At the end of the month – September 27th, to be exact – Jim will be biking down the coast of Oregon with his wife, Marsha. Their trip will start at the Columbia River, and end 390 miles down at the California state line. He expects the ride to take about seven days (give or take a few) and will be posting about their journey on his blog, Bucket List Minus One. 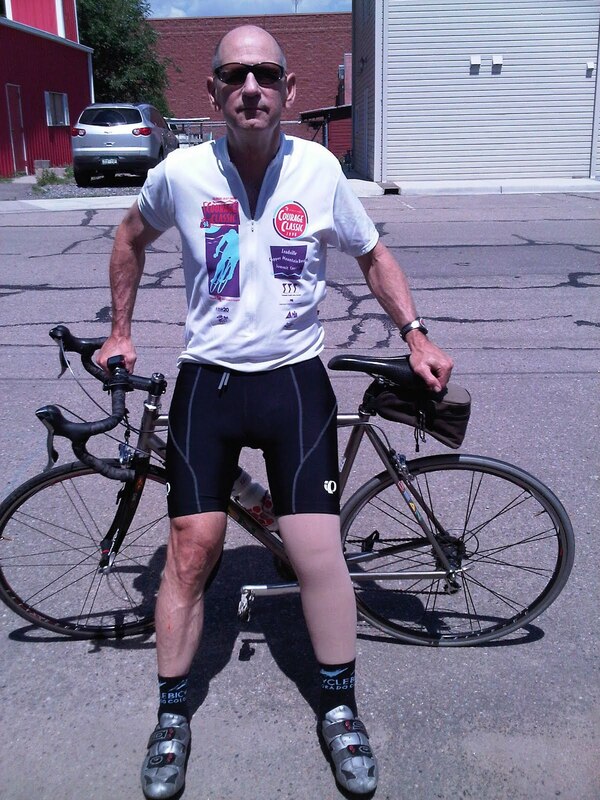 It’s difficult to say how this will affect his lymphedema, as Jim’s been cycling for so many years now that it’s pretty much all it knows. As he points out on his blog, the National Lymphedema Network advises against strenuous exercise, but he will be ready to modify his trip and include extra MLD massages and compression wrapping if there are any signs of distress. Jim, I don’t know much about biking, but I’m wicked impressed that you’re doing this. I wish you and your wife the best of luck, and happy trails!! To follow Jim’s journey down the Oregon coast, check out his blog at http://oneoffthebucketlist.blogspot.com/. Wow, Alexa you are remarkable. Thank you for your kind words. We will do our best and, most of all, enjoy ourselves on the coast. It’s beautiful. Marsha and I are both excited to be starting the drive this Friday and the bike trip next Tuesday. We will posts photos and updates as internet access permits. Any friends of Alexa feel free to drop us a note of encouragement now and then next week. And if you have any control over the weather please send us at least a few days of sun – we would even settle for a light drizzle or plain old cloudy days.